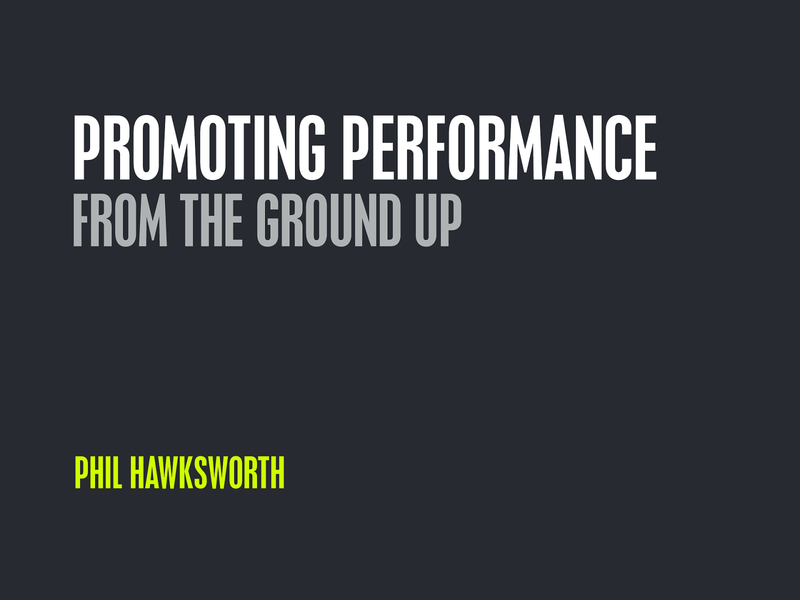 Performance from the ground up Webconf, Hong Kong, 2018 @philhawksworth netlify WE LEARN A LOT AT CONFERENCES 12 talks! netlify Performance from the ground up Webconf, Hong Kong, 2018 @philhawksworth WHERE DOES IT HURT? Performance from the ground up Webconf, Hong Kong, 2018 @philhawksworth netlify THE PERFECT PROJECT TIMELINE BRIEF AWARDS LAUNCH START SCOPE RE-SCOPE CLIENT REVIEW FINAL SIGN OFF FIXES “ ” ! Performance from the ground up Webconf, Hong Kong, 2018 @philhawksworth netlify "
THANK YOU PHIL HAWKSWORTH HAWKSWORX.COM / TALKS / HK $ ! View Promoting Performance from the Ground Up on Notist. An article about Netlify's approach to cloud infrastructure which was a common question at this event. More features of Netlify, which answers questions asked a number of times in conversations after this presentation. Pick up tools in our Directory to work with the JAMstack. Browse our showcase and get inspired. This is the project I demonstrated during the talk to bootstrap a site build with integrated serverless functions. You can get started in a couple of clicks by hitting the "Deploy to Netlify" button. I thoroughly enjoyed chatting to everyone after @webconf_asia in Hong Kong.